How can I export boards? 1. 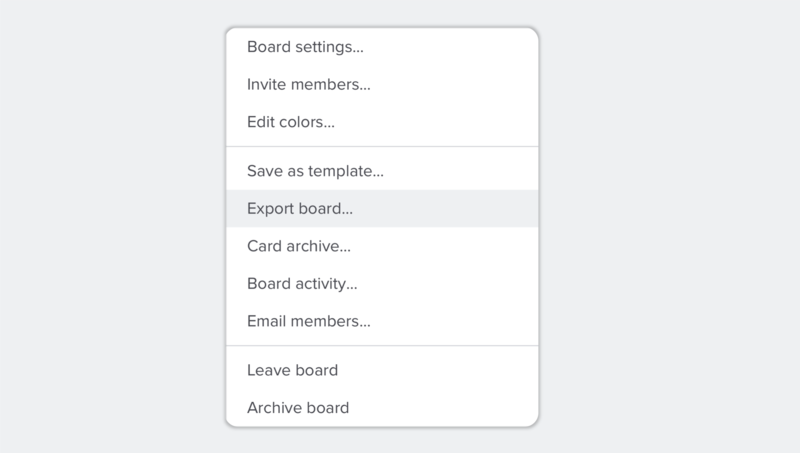 Open the board menu and choose "Export board"
If you are in the Workspace area or inside a team, click on the three dots in the corner of the board. If you are inside the board you want to export, click on the down-arrow next to the board name. 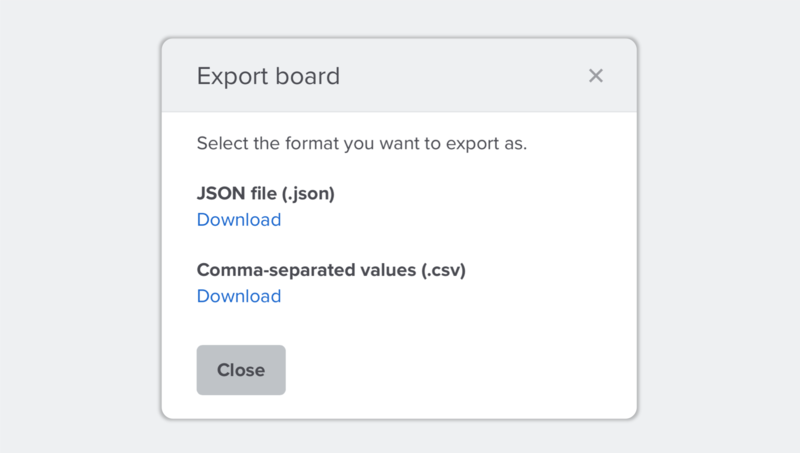 Upwave Boards can be exported in two formats; CSV or JSON. The dates will be in the timezone of the person who did the export. The JSON format is highly flexible bringing the means of exporting more complex data and relations. Exporting a Board in Upwave as a JSON-file will bring along all your data intact. Be aware that this may reveal sensitive information, such as account emails, if you were to give that file to others. The JSON file, can't be imported in other systems (except JSON viewer-applications), but will enable you to restore a complete board in Upwave, send it to others who can restore it or take a personal backup. It also provides a clever possibility of making your own templating system for repeated projects.